Find out about our new literacy mini-series for the Early Years. Literacy is a complex area of learning. Apart from being fundamental to both education and our lives in general, it covers much more than simply learning how to read and write. Developing a love of books, discovering how stories work, knowing how to access information, learning how to express yourself fluently in writing, being able to read in depth or skim through a page, and gaining knowledge of grammar, punctuation and spelling are just some of the skills we need if we are to become truly literate. 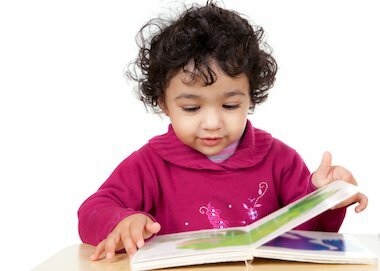 Although many of these skills are mastered in later childhood and adulthood, literacy development begins in the early years. From discovering that stories have satisfying endings to learning how to create representative marks, the first five years are crucial in laying the all-important foundations of literacy. Although the activities in this series are based on play and free-flow exploration, they will give your children an essential head start in becoming fully literate individuals.